9 small glazed panels in obscure toughened glass let the light in without compromising privacy. 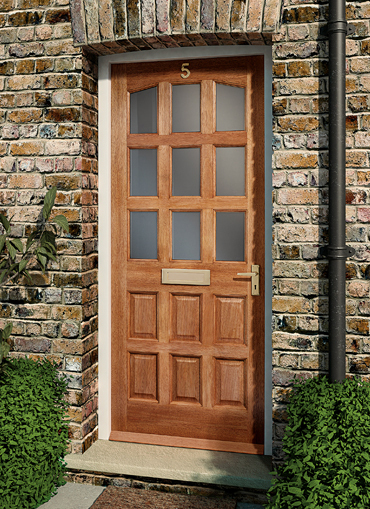 The sturdy veneered hardwood construction keeps the elements out – and together they create a traditional external hardwood door with modern standards of energy efficiency and security. Supplied unfinished.